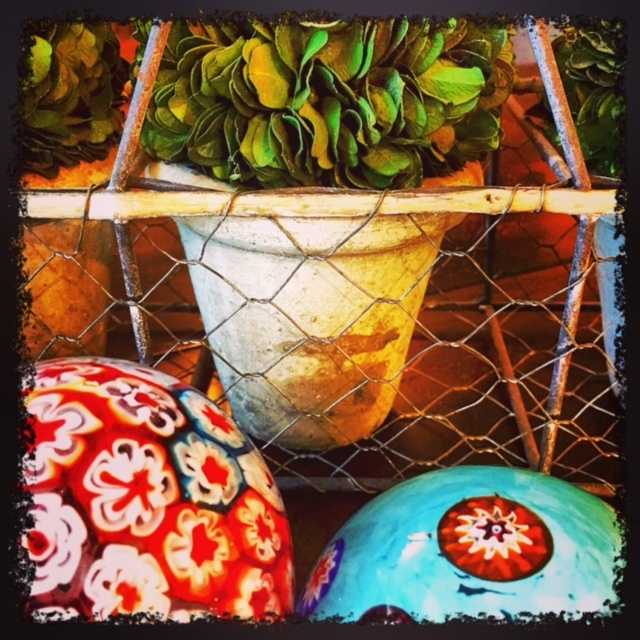 In my opinion, you just can’t go wrong decorating with chicken wire. Also, glass eggs fascinate me. Is that what they’re called, glass eggs?